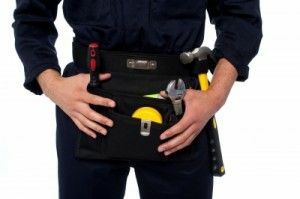 When looking for a contractor to handle your Scottsdale home improvement project, it’s important to do your research and choose carefully—or you may put your property, your money and your peace of mind all at risk. Among other things, you should be leery of someone who quotes you a price that seems shockingly low. As the old saying goes, if it seems too good to be true, it probably is. While it’s fine to adhere to a budget and compare quotes to find a contractor that will give you a reasonable quote, a fee that’s abnormally low should be a red flag. This can indicate that the contractor lacks the experience or knowledge necessary to provide a fully informed and accurate quote. Or, even worse, it could mean they are just trying to dazzle you with this great quote so you will be eager to hand over some cash—at which point, the contractor may take the money and run. In addition, you should also avoid choosing the first contractor you find, or picking someone at random. Your property is important to you, and you don’t want to risk putting it in the hands of someone who may not treat it with the care and respect it deserves—or take a chance with someone who may not deliver what you pay for. You want someone with a good reputation and an established track record. Many homeowners have given in to the temptation of taking a chance with an unknown in the hope of saving a few bucks—and they often end up regretting it. This story tells of the experience of an unfortunate homeowner who got ripped off after hiring a contractor she found on Craigslist—who ended up being unlicensed and undependable. Don’t let that happen to you. Choose someone (like us here at RW Remodeling) who has a strong, well-established track record and a long list of satisfied clients in the Scottsdale area.